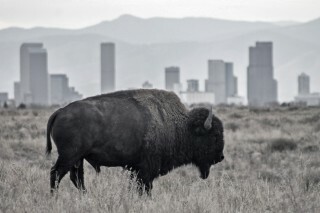 The Rocky Mountain Arsenal is a wildlife refuge operated by the US Fish and Wildlife Service just a few miles from downtown Denver, Colorado. This urban refuge has considerable diversity of wildlife bearing in mind its proximity to the city. 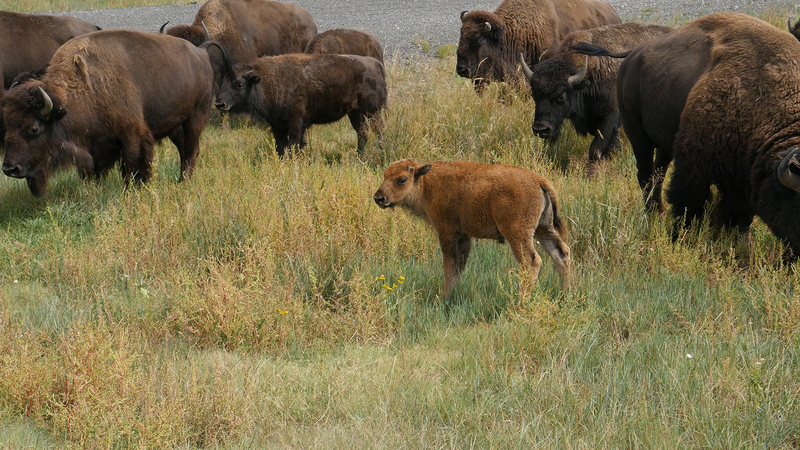 Home to birds, deer, and prairie dogs, as well as American bison, this little haven gave me my first up close and personal look at our national mammal. As we drove along the wildlife viewing route through the park, I began to worry that we might not get a glimpse of the bison herd. Then, off in the distance through a small stand of trees, we saw them. Only a few were visible at first, but they were slowly making their way toward us. 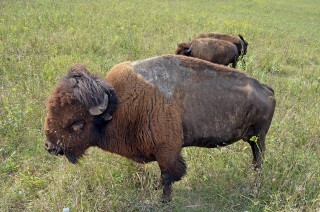 The bison ambled along taking nearly 30 minutes to get close, but as they approached, I was struck by how loud they were. 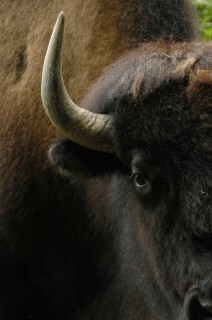 The small herd of bulls, cows, and calves made a cacophony of huffing, snorting, and grunting. They came right up to our car, crossed the road, and kept on moving. It was such an incredible sight to see these giant mammals and their young so close. EDITOR’S NOTE: National Bison Day is November 3, 2018, a day dedicated to the ecological, cultural, historical, and economic contribution of American bison to the United States.